Mountain View is a fresh, forest green holographic nail polish with incredible depth and subtle blue undertones. Complementing the wonderful array of holographic pigments are a unique combination of metallic bronze flakes for a seriously impressive manicure that’s unlike anything you’ve ever worn. A personal favorite with multiple personalities, Mountain View looks stunning both indoors and outdoors. 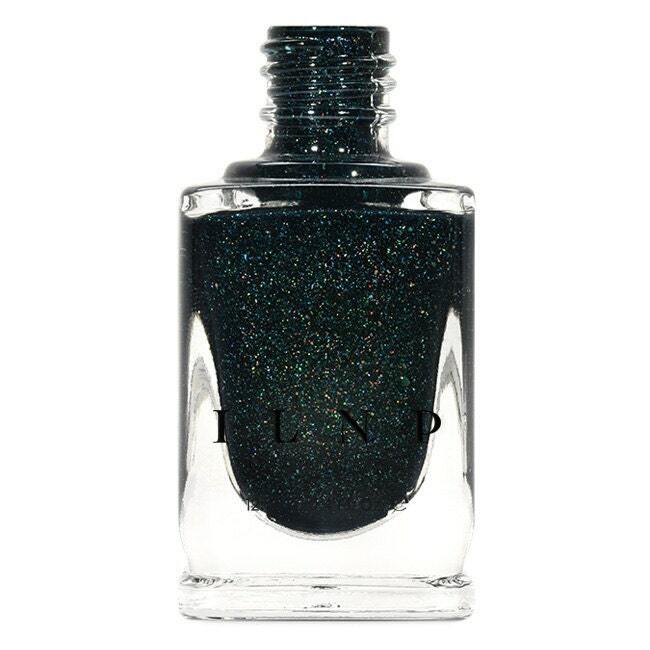 Please be advised that this listing is for 1 (one) bottle of Mountain View holographic nail polish. Any base colors used in swatches and other photographs are not included unless otherwise stated.